(Su) April 28th: 2:00 - 5:00 p.m.
you dancing and singing along. Adults $7.00 - Under 12 free. 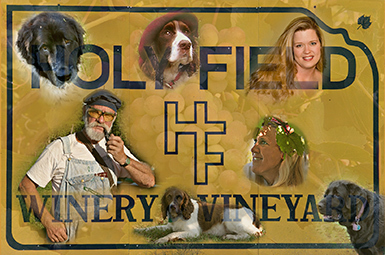 (Fri & Sat) May 10 & 11th: 7:00 p.m.
Holy-Field Vineyard & Winery, a "growing" legend for producing award winning fine wines from the fertile soils of eastern Kansas. The bounty of the vines springs forth on fourteen beautiful acres tended under the personal touch of owners Les and Michelle Meyer. Holy-Field's ten grape varieties ripen to produce 19 distinctive wines. Holy-Field wines are the recipients of numerous domestic and international awards & medals, and our wines have won 12 prestigious Jefferson Cup Awards!. Our winery has been featured in The Wine Report, in numerous magazine & newspaper articles, and on several television spots. 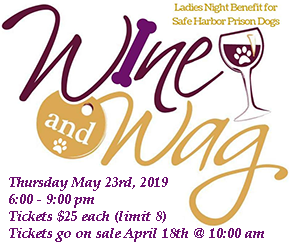 In addition to producing fine wines, Holy-Field Winery hosts a variety of entertainment events throughout the year, including Murder Mystery Dinner Theatre shows, Mayfest, Summertime Music Series and Oktoberfest. We also host several fundraising events to benefit local charities. Our vineyard, banquet hall and gazebo may be reserved for weddings, receptions and group events of all types. Stop in the tasting room to sample our wines and speak with our knowledgeable staff. While you are here, browse our gift shop for that perfect seasonal gift or wine related item for the wine lover in your family. Make sure to check out our Image Galleries. There you will find images that capture the essence of the vineyard, volunteer harvesters enjoying a beautiful fall picking day and people reveling in the numerous events held throughout the year. Holy-Field vineyard is a registered Kansas Agritourism site. This institution is an Equal Opportunity provider. 2006 - 2017 Holy-Field Vineyard & Winery. All rights reserved.